Manufacturer of a wide range of products which include mango pulp processing plant, mango processing plant, mango destoner, mango pulp machine, screw blancher and pickle making machine. We are manufacturing supplying complete mango processing machinery for the production of mango pulp, juice concentrated puree, as well as single machines to meet specific requirements. In order to cater the diversified demands of our clients, we have been able to provide a unique range of Mango Processing Plant. 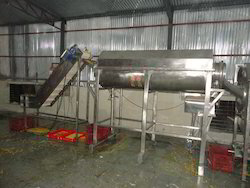 The provided plant is used to make as mango pulp, mango slice, and mango concentrate, mango juice and puree, mango chutney and for washing, sorting, destoning, pasteurization, filling & packaging. Our offered plant is manufactured by our diligent professionals in adherence to defined industry standards and norms using optimum grade components and modern techniques. As a prominent manufacturer in this field, we are offering high quality Mango Destoner. The provided machine is used for wheat, cleaning rice, paddy, etc. This machine is highly efficient in separating dust particles and other impurities such as metal, etc. from food grains, glass, stone,. 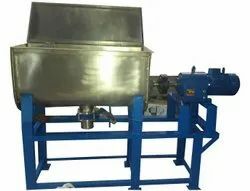 Provided Destoner For Mango is made using premium grade components and the advance technology by our trained professionals. 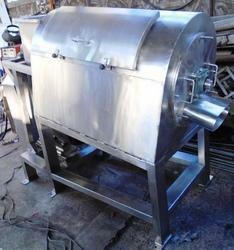 In addition to this, Destoner For Mango is made available in various specifications at reasonable rates. We have in store for our clients, a sleek assembly line plant for Mango Pulp Machine that is subject to installation, commissioning and erection as per the convenience of our clients. These processing plants are provided with washers, inspection conveyors, elevators, pulpers, pumps, mixing tanks, pasteurizers, rotary pump fillers, vacuum pans and condensers for carrying out the complete processing of the fruit. These series of machines and equipment are subject to customization as per the industry specific requirements. A Screw Blancher that is substantially sealed during operation to increase food product heating speed and efficiency. The blancher has a sealed housing, a novel substantially sealed food product inlet, and a novel substantially sealed food product outlet. A heat transfer medium, such as water or only steam, is introduced into the blancher to heat the food product inside the blancher. During operation, food products are substantially continuously introduced into the blancher through the food product inlet, processed by the blancher, and thereafter discharged from the blancher through the food product outlet. As a result, a greater amount of food products can be more quickly heated to a desired temperature using a blancher of this invention as compared to a blancher that is not sealed. Our customers can benefit from us an extensive variety of Pickle Manufacturing Machine. The machines created utilizing predominant quality crude material. Additionally, the offered machines are to a great extent utilized as a part of different Pickles businesses to pack the Pickles. Further, these are known for their strong development, dependable execution and toughness. These are accessible at industry driving costs for the customers.